Libby Bernick is with S&P Global, and is the Managing Director and Global Head of Trucost Corporate Business, which works with corporations and investors to assess and price risks relating to climate change, natural resource constraints and broader environmental, social, and governance (ESG) factors. Libby leads the global business unit responsible for new product development, research, sales, and service delivery for Trucost’s corporate business, including impact analysis of bonds and corporate ESG disclosure to investors. 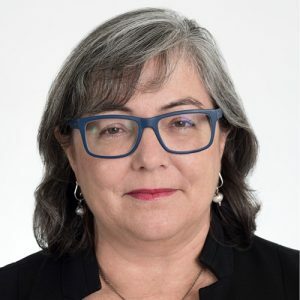 She has worked for over 25 years to advance sustainability and climate initiatives, and is a regular speaker at international industry events and frequent commentator in the media on corporate sustainability, sustainable finance and greener product production.